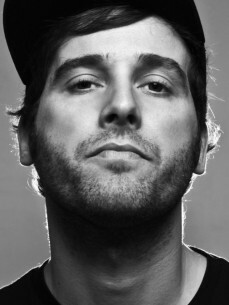 His productions, carefully balanced between classy Deep House and groovy Tech House have earned the support and admiration of international first-class artists such as Laurent Garnier, Steve Lawler, Reboot, Jimpster or Nic Fanciulli, to name a few, and have led him to be included in top-notch projects such as Richie Hawtin’s ENTER compilation. It’s no wonder then that this artist has been released under industry-leading labels like 2020Vision, Defected, Suara, Robsoul, OFF Recordings or Liebe Detail, among many others. Javi Bora is the official resident of Space Ibiza & Kehakuma and their worldwide tours, he has also already graced the best clubs and festivals of cities such as London, Tokyo, Frankfurt, Singapore, Moscow, Sydney and other corners of the world by himself. Bora brings rhythm and groove wherever he goes. With recent releases on labels like Robsoul and Steve Bug's Audiomatique Recordings.